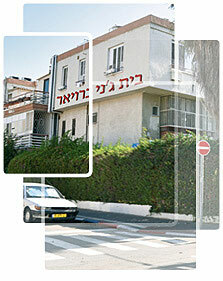 Reuth Beit Jenny Breuer is a retirement home for the religious-Zionist sector, located in the quiet Tel Aviv neighborhood of Yad Eliyahu. Residents enjoy a warm, family-like atmosphere and vibrant community life in the traditional spirit of Judaism, as well as a rich selection of cultural activities, trips, classes and lectures. The home offers 62 comfortable residential units for singles and couples, a beautiful and active synagogue, and a full range of religious services. Medical care is provided by a geriatric specialist, together with a team of professional nurses who are on the premises 24/7.